Fromm, Martin/Paschelke, Sarah: GridPractice. 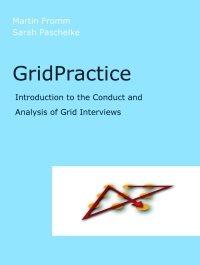 Introduction to the Conduct and Analysis of Grid Interviews. Norderstedt (BoD) 2011. Fromm, Martin: Introduction to the Repertory Grid Interview. Munster (Waxmann) 2004.